No NASCAR names illicit more of a response, good or bad, than the last name Earnhardt. No image was more recognized in racing in the past 20 years than one of the Richard Childress black #3, driven by Earnhardt. Dale Earnhardt enjoyed a great 27 year racing career, but was much more than a race car driver, he was an icon. 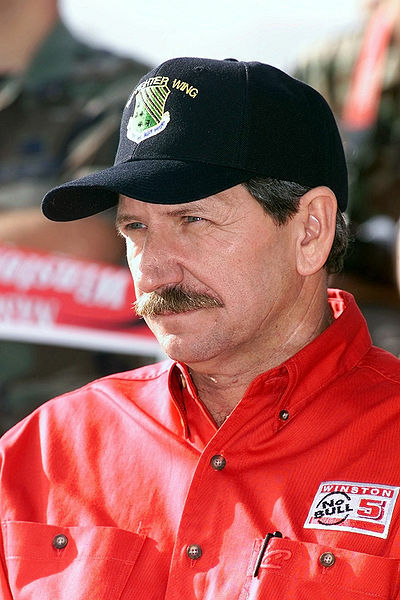 With millions of fans, Dale Earnhardt was a driving force within the sport, especially during the second half of his career. The man who "could see air" was known for his ability in the draft on superspeedways and using his bumper everywhere else. Get Paid To Write With Hubpages! Born to Ralph and Marth Earnhardt in Kannapolis, NC, April 29,1951, Ralph Dale Earnhardt Sr. began life in humble surroundings to a father who was a well respected race car driver. Ralph Earnhardt was a NASCAR Sportsman Series champion in 1956, and was teacher, mentor, and idol to his son. From early on, Dale Earnhardt desired to race like his father, leading him to drop out of school in 9th grade to pursue his dream. For the next ten years, Dale worked backbreaking jobs during the day, and raced at night, often spending all his money on parts. 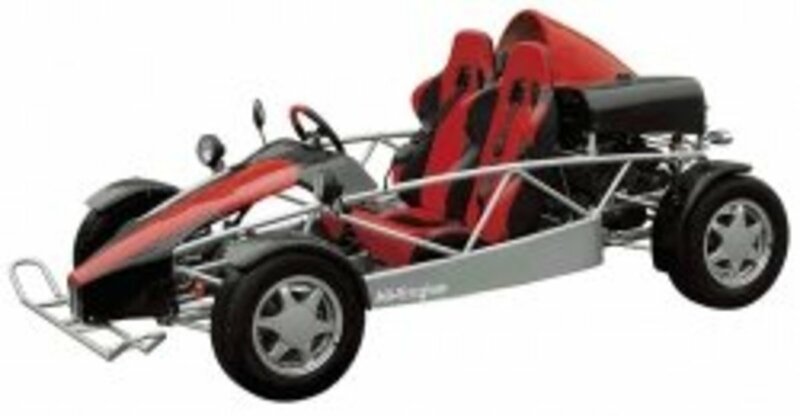 His primary goals in life was to gain the approval of his father as a racer, and to get out of his poor economic condition. His first goal would go unmet, however, as his father would die prior to Earnhardt reaching NASCAR's premier racing series, the Winston Cup Series (now the Sprint Cup Series). As mentioned above, Dale Earnhardt's racing beginnings go all the way back to working on his father's cars in his father's shop. After quitting school for a racing career, Earnhardt began racing late model race cars and in 1974 moved up to sportsman class cars on asphault. Earnhardt often raced out of his own pocket, leading to problems in his first two marriages. Earnhardt's first marriage only lasted a couple years, but he had a son named Kerry Earnhardt. As he and wife Latane Brown were married at a young age, Earnhardt was 17, and money was hard to come by for a dirt racer, divorce soon followed. A year later, while getting closer to a NASCAR opportunity, Dale married Brenda Gee, daughter of NASCAR car builder Robert Gee. Their marriage lasted about 4 years, producing daughter Kelly Earnhardt and Dale Earnhardt Jr. In 1975, Dale was given a chance to drive a Cup Series car for Ed Negre at the World 600 at Charlotte, NC. Earnhardt took a mediocre car from an owner/driver who had never won a race and started 33rd and finished 22nd. 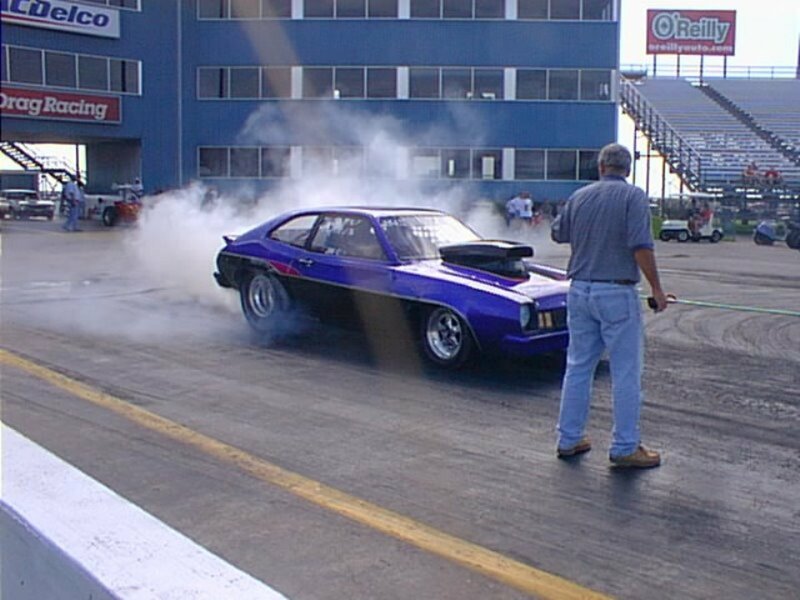 It was not a mind blowing performance but it did set up a few more runs in mediocre cars over the next few years that would help him catch the eye of car owner Rod Osterlund. Osterlund would give Earnhardt a ride at Atlanta in late 1978 and Earnhardt showed that he had plenty of ability. Dale started 10th and finished 4th, giving Osterlund reason to ask Earnhardt to drive full time in 1979, a proposition neither would regret. In Dale Earnhardt's rookie year, 1979, he ran 27 of 31 races, yet still amassed enough points to not only gain the Rookie Of The Year honors, but he also finished 7th in the final points standings. Along the way, Earnhardt also won a race at Bristol, his first win, and had 11 top five finishes. 1980 brought more first's for both Earnhardt and his car owner, Rod Osterlund. Earnhardt became the first driver in NASCAR history, and to this point the only driver, to win the Cup Series Championship after winning the Rookie Of The Year the previous year. This would be both Earnhardt's and Osterlund's first championship, and although there would be more to follow for Earnhardt, it would be Osterlund's last. After another half season, Osterlund left the sport as an owner and did not return until several years later. 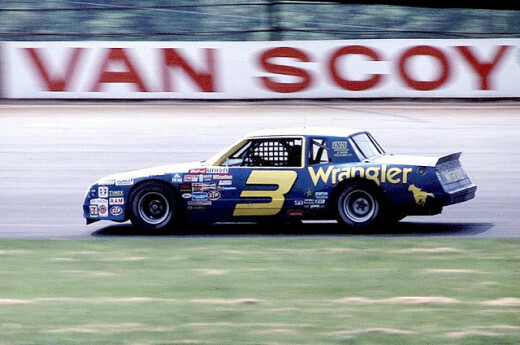 Dale would finish the 1981 season with Richard Childress, a driver/owner Earnhardt had competed against, then would spend two years with legendary owner Bud Moore. Moore had put drivers on the track such as Joe Weatherly, Cotton Owens, Fireball Roberts, David Pearson, Cale Yarborough, Bobby Allison, Tiny Lund, Darrell Waltrip, Benny Parsons and more. He knew success. He had two championships and knew how to win. Although he may have been a great asset to Earnhardt, the two only had moderate success with only 3 wins, leading Moore to pass Earnhardt off to a young owner who had previously worked with Earnhardt, Richard Childress. Although the early to mid 1980's has some successes and many trials for Earnhardt he began to build his lasting reputation in the sport. Whereas Earnhardt's father had been known for an uncanny ability to keep his car free from dents and scuffs during his races, Dale did not necessarily have that ability. If he did, he did not have the desire. Earnhardt was not afraid to use his bumper, fender, door or any other part to help him get closer to victory lane. He often made moves that did not work out how he planned, but he also made others that made people watch in awe. In either case, his determination led to his early nickname, Ironhead. 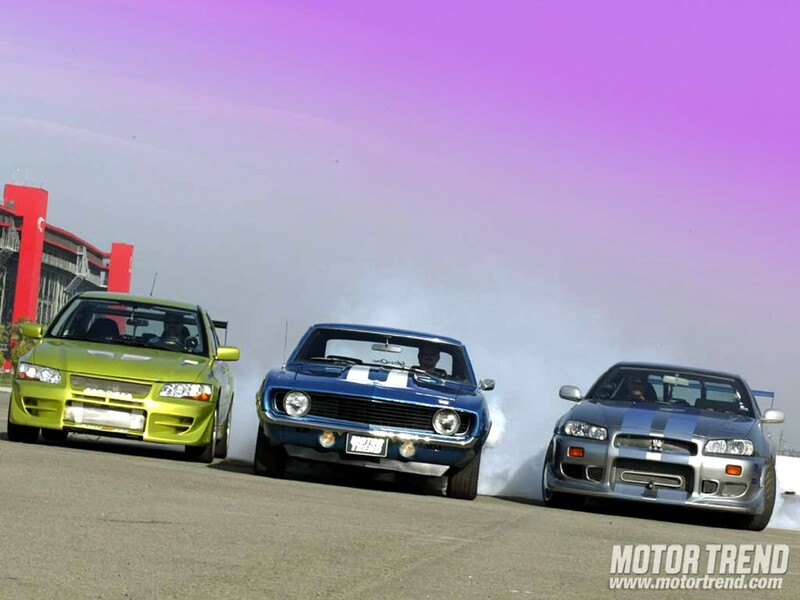 Have You Ever Seen Dale Earnhardt Race? In the late 1980's Dale Earnhardt returned to the top of the sport, winning the Winston Cup Championship in 1986 and 1987, winning 11 of the 29 races in '87. Earnhardt had become the top of the field and was no longer a "former champion", but had solidified his place in NASCAR history with 3 championships. However, a more simple change had taken place in 1988 that had just as large of an affect on Earnhardt's on and off track persona. 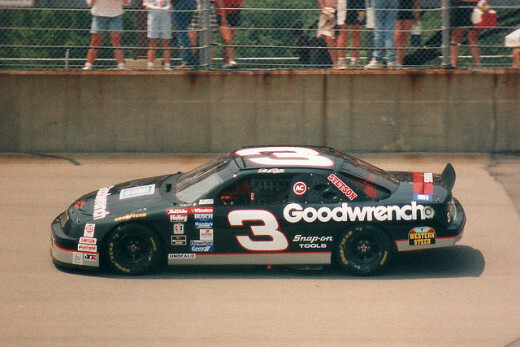 Earnhardt's car in 1988 debuted the black "3" paint job with GM Goodwrench as the sponsor. This is how he would be known over the next 13 years by fans and competitors alike. Now, the three-time champ became a feared sight in the rear view mirrors of NASCAR drivers. Over the next seven years Earnhardt would win 31 races and 4 more championships. He would finish in the top 5 fifty percent of the time and in the top 10 seventy percent of the time. During this time Dale Earnhardt developed the persona, a intimidating mixture of mystique, strength and slyness, that would be the base for both his personal marketing machine, one that is still selling memorabilia today, and for his on track success. Earnhardt had no problem being the "bad guy" on the track when needed and everyone new there was little that he wouldn't do if given the chance to win. Going into the 2001 season, many thought Earnhardt could have another great year. He had finished second in the points standings in 2000 to Bobby Labonte, had two wins, and was looking to be near the shape he was in the mid 1990's. He also had just finished his son's rookie year and had added one of his best friends, Michael Waltrip, to his racing stable. Entering the '01 Daytona 500, Earnhardt had his trademarked grin yet again. All would come to an end, however, when on the last lap of the '01 Daytona 500 he would be involved in a life-ending crash. As Michael Waltrip and Dale Jr. were approaching a 1-2 finish for DEI (Dale Earnhardt Incorporated), Earnhardt was racing with a couple of cars for 3rd. Some say he was blocking for his cars, others say he was not, either way, after a bump and a loss of controll he turned head-first into the outside wall. On impact, Earnhardt suffered a Basal Skull Fracture and died soon thereafter. From his death in 2001, NASCAR embarked on an unprecedented revamping of their safety rules and structures. Rules were put in place to make every driver wear closed faced helmets, utilize head-and-neck safety devices (HANS), and changed the seat structures to keep drivers from moving around dangerously inside the cab during a wreck. NASCAR also began working on safe wall technology, resulting in the implementation of SAFER barriers at most NASCAR tracks which absorb much of the impact when a car strikes the wall. 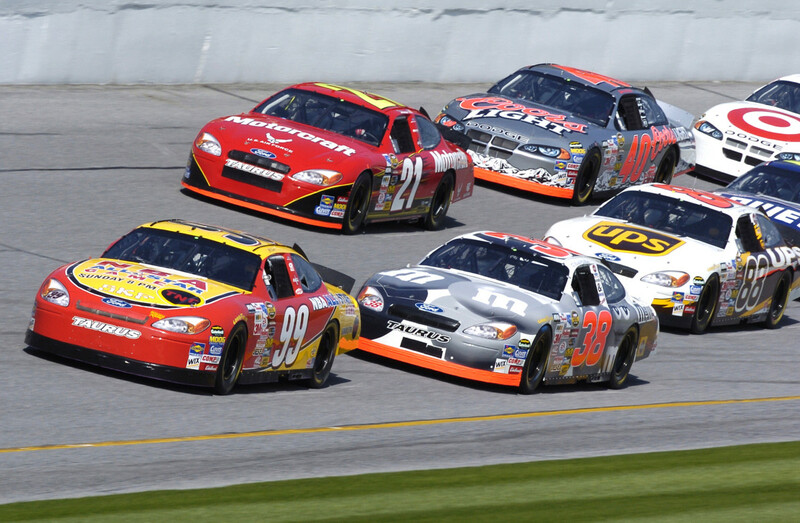 Finally, NASCAR began a long road of revamping the actual cars so that, along with competition advances, driver safety became the primary concern from the ground up. In the year prior to Earnhardt's death, two drivers had died in the Nationwide and Sprint Cup series, Adam Petty and Kenny Irwin. Thanks to safety improvements due to their deaths and Earnhardt's death, no driver in these two series has died due to racing incidents. Earnhardt's racing team, however, has not lived on like his safety impact. DEI had plenty of success in the few years after it's founder's death, even being within reach of the championship on a couple of occasions, but that success was short lived. Looking for a better foothold in the sport, in 2007 DEI absorbed Ginn Racing in a merger, acquiring Mark Martin and Aric Almirola. After a struggle for between Dale Earnhardt Jr. and Earnhardt's widow Theresa Earnhardt for control of the team, Earnhardt Jr. left DEI for Hendrick Motorsports. With further trouble in subsequent years, Theresa Earnhardt then sold controling interest to Chip Ganassi in a merger that renamed the team Earnhardt Ganassi Racing. 5 out of 5 stars from 1 rating of How Does This Dale Earnhardt Info Rate? Cruises from the Port of Miami are some of the best cruises available. With a wide range of cruises available, many destinations, lengths, and cruise lines, any cruise you could want can be found from Miami! This comparison breaks down the changes for each of the big three American Full Size Trucks. Find out what is being changed on each of these trucks and what else is coming in future models!